Most businesses today are, quite understandably, focused on the solving their immediate reporting and analysis problems by leveraging business intelligence (BI) platforms within their organisational perimeters. Some businesses are prepared to push beyond these perimeters and look at Cloud hosting for their BI needs. This has all been against the backdrop of the data landscape changing immeasurably in the first half of this decade with an explosion of ambient data, from remote sensor data, social media data through to analysis of voice and video. There’s now a wealth of ambient intelligence available with more and more ubiquitous computing (UC) devices contributing increasingly more data. So how do the worlds of BI, cloud and UC come together? And what impact does UC have on the current state of Cloud hosted BI? 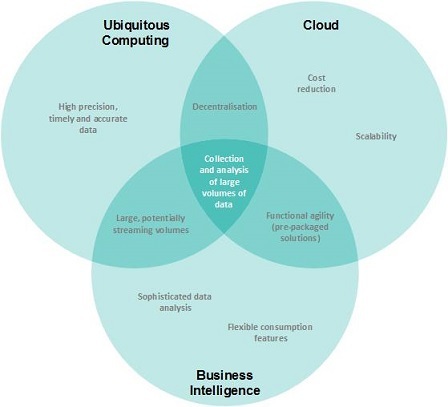 So what impact, if any, does UC have on Cloud BI? Solutions leveraging UC (particularly streaming) data lead to decentralized data architectures that are better suited to Cloud deployments. BI solutions based on UC applications are sensitive to changes in the operational business processes and require scalability. The elastic nature of the Cloud is therefore an ideal operating environment. In order to react to unexpected changes in the environment, BI solutions based on UC data need to be able to flexibly include specific analysis features. The feature richness of PaaS and some SaaS platforms allows additional analysis features to be added when required. Bringing all of this together requires that you have a powerful BI solution built specifically to handle Cloud to device data transfer characteristics. That’s where the value of the PaaS offerings come in – amongst others, Tibco Spotfire has been adding support lately for the integration of UC streaming data. One other interesting recent move in the market has been the acquisition of Datazen Software by software giant Microsoft. Shortly after his appointment, incoming Microsoft CEO Satya Nadella's was very vocal about "ubiquitous computing," and "ambient intelligence" as well as advocating a “Mobile First, Cloud First” strategy. 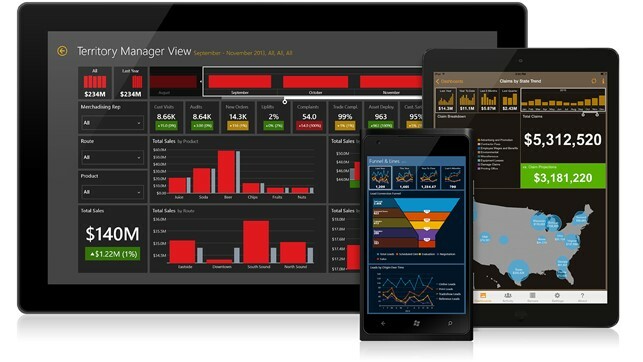 Up to that point, Microsoft’s main player in Cloud BI was Power BI however with the Datazen acquisition and subsequent integration into the Microsoft Azure (cloud) platform it’s evident that the Redmond giant sees a fully UC integrated and enhanced Cloud hosted mobile BI platform as an investment in the future. So, in summary your organisation’s Business Intelligence strategy needs to start thinking out of the box and looking at the value of UC integration in an off-premises solution. At first sight, there may be insufficient drivers for off-premise given your current business model, however with the increasing breadth and depth of UC data, available drivers may appear that change that quicker than you think. It’s not easy to condense such a large and quickly moving subject into a short article, so I’ll be following this piece up with a more expansive whitepaper looking at some specific use cases and integrated UC-Cloud BI architectures to draw out guidance points on strategy. Keep your eyes peeled!